 the cottage gals: Oh where, oh where has Summer gone? The new school year is in full view as the last lazy summer days float by. This has been a good summer all and all. Great weather, sleeping in, not packing any lunches for three whole months and eating my share of homegrown tomatoes! Whether you vacationed, stay-cationed or just got lost in a good book, I hope your summer was a good one. We are slowly creeping into the changing seasons here at the cottage. We've started bringing in richer fabrics, warmer wood tones and anticipating ordering in our favorite potato-leek soup on that first brisk day. Ann and I have some wonderful buying trips planned in the next few weeks. We will certainly continue to share our great finds! I know what you mean about summer...but it looks like you're transitioning the shop into Fall beautifully! Enjoy the rest of August! We're praying for rain here in Tennessee! I am anticipating the coming change of seasons, your winking pumpkin does the trick and gets me in the mods for the coming seasons treats! Can't wait to see what you find on your buying trips! I enjoyed it then and I enjoyed it today. Now I am going to have to go back for a visit! Oh how I wish we lived close. Looks like a shop I would love!